Supporting American poets in all stages of their careers. The Academy of American Poets emails a new poem to you every morning! 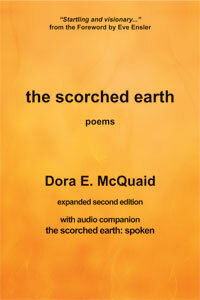 A great anthology of contemporary poetry, with a new poem shared every day. A massive index of international poets, poems, lyrics and more. Poets, poetry, a calendar of readings, exercises and more. Join poets from around the world who pledge to write one poem a day for the entire month of April, the National Poetry Month in the US. This website offers daily prompts, a community support system and listing of participant’s websites. I’ve done the challenge many years, and have loved the process and commitment! Join people who have pledged to write their novel in one month! This website offers an online community network and a personal progress tracker. The Helene Wurlitzer Foundation of Taos, New Mexico, established in 1954, is one of the oldest artist residence programs in the United States with the mission to “Support the artist and the creative process”. Located on 15 acres in the heart of Taos, a four-hundred-year-old multicultural community renowned for its popularity with artists, the Foundation offers three months of rent-free and utility-pain housing that serves as a haven for visual artists, literary artists and music composers of national and international origin. “AROHO is a transformational collective that changes the lives of creative women by honoring our artistic excellence and moving us out of isolation to a rich and whole community. AROHO is a nonprofit organization providing a unique arts program that will impact the development of our culture. Jennifer Rickards is the creator of this brilliant storytelling project, which uses 3×5 notecards to collect anonymous stories of moments that have changed people’s lives. Jen also happens to be one of my dearest friends, whom I met in Sixth Grade Reading Class when we bonded over Shakespeare’s line: To be or not to be, that is the question… Jen and I have been asking and answering many of life’s questions with one other for decades now and I’m excited to support her efforts with Three By Five, which I love. The stories are obviously brief, but riveting and resonant, and the array of them speaks to the power of one moment to change us. “The ever-growing collection of historic speeches, songs, poetry, and essays on human rights and social justice developed by www.EdChange.org. Brain Pickings is a one-woman labor of love, established in 2006 by Maria Popova.